As part of our series on premium sustainable fashion brands, we’re excited to feature today London-based Jake + Maya. Jake + Maya was born out of a successful Kickstarter campaign in March 2017. With the promise of producing durable clothes for children, the brand rapidly fulfilled its initial funding projections with over 80 financial crowdfunding backers. Jake + Maya’s unique design and production process are indeed providing a refreshing take on kids fashion. Their children clothes grow with your child, increasing the lifespan of a standard garment from one year on average to more than three years. Thanks to a creative combination of extendable clothes and mendable garments, Jake + Maya has indeed been able to design long-lasting kids fashion items. And their dedication to sustainability goes beyond just expanding the life-span of children clothes. Jake + Maya’s production process aims at bringing clothes to consumers with as little impact as possible on the environment. 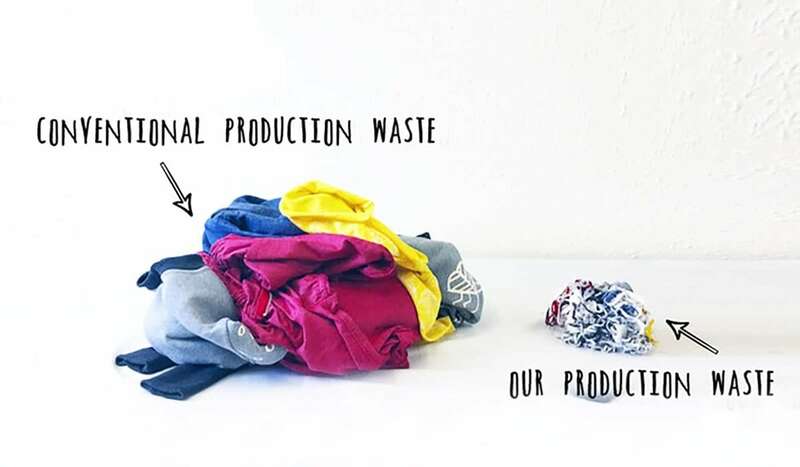 Whereas traditional fashion manufacturing will see up to 30 percent of the used textiles wasted during the production process, Jake + Maya developed zero-waste cutting techniques to reduce its waste to only 1 or 2 percent of the final product. As a result, Jake + Maya’s garments require on average 300g of cotton instead of the industry standard 500g. The sustainable brand is thus able to save 4,000 litres of water per kids cloth. 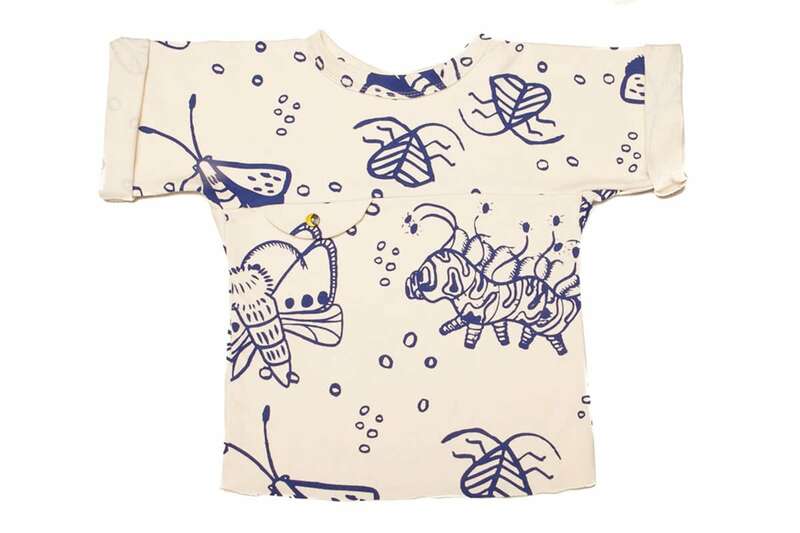 Jake + Maya’ sustainability efforts are matched by a creative take on kids fashion that ensures that both parents and children will love the collections. The kids’ clothes are easy and fun to wear. The collection features bespoke waistbands on trousers, with many items having longer hem and cuffs. Additional adjustable features have been incorporated into the designs to extend wearability through growth spurts and over many years. The garments all change and transform over time. Every item is easy to wear with many different styles to choose from. Prints have been made gender equal and many items are unisex. Garments are personalisable to encourage individuality and freedom to experiment. To keep kids excited for longer, key designs are multifunctional and easily reversible. When traditional fashion brands will encourage all-year-long consumption with renewed collections and short-lived trends, Jake + Maya teaches parents to extend and mend their kids clothes so they don’t need to buy unnecessary replacements. The approach might seem counterintuitive to business thinking at first, but the sustainable brand embraces its core values by encouraging consumption waste reductions. In order to that, the brand offers free extension services with their in-house tailors. Parents can send their kids clothes to Jake + Maya to have them extended and receive the clothes back within two weeks or less. The brand also teaches parents through educational videos on their website how to mend and repair damaged clothes.